French shirt maker Charvet's legend is immense, large and uncontainable. 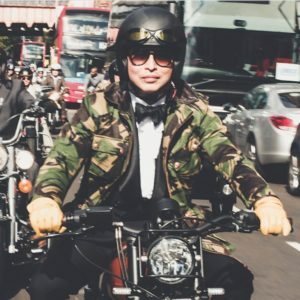 It runs like an overflowing river crossing epochs, insinuated into the greatest works of literature, and infused into the sartorial vocabularies of the world's best-dressed men. At one time or another, Charvet has dressed Gary Cooper, Édouard Manet, W. Somerset Maugham, John F. Kennedy, the Duke of Windsor - the list goes on. And while allegiances to tailors are asserted within national boundaries - it's hard to imagine Prince Michael of Kent rocking that Caracreni - the universal affection for Charvet knows no bounds. Founded in 1838 by Christophe Charvet in Paris' heady Place Vendôme, Charvet was something of a revolution in retail concept. Previous to Charvet, shirt- and tie-makers travelled to visit their clients. 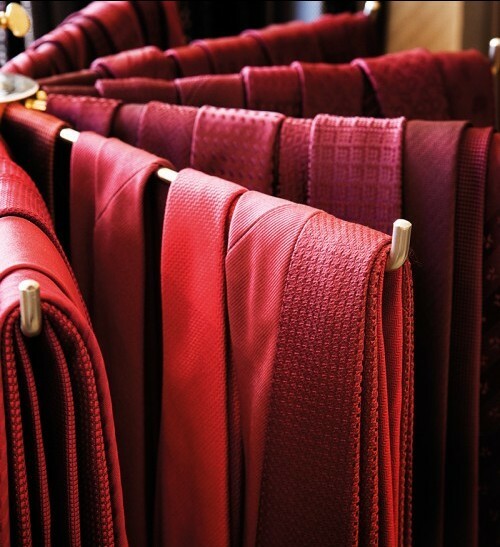 Charvet was the first to establish a shop front to offer an even wider array of fabrics and an emotional home for custom shirt- and tie-making - where men could realise the very fabric of their dreams. Siblings Anne-Marie and Jean-Claude Colban, heirs to Charvet's legacy of magnificent shirtmaking. 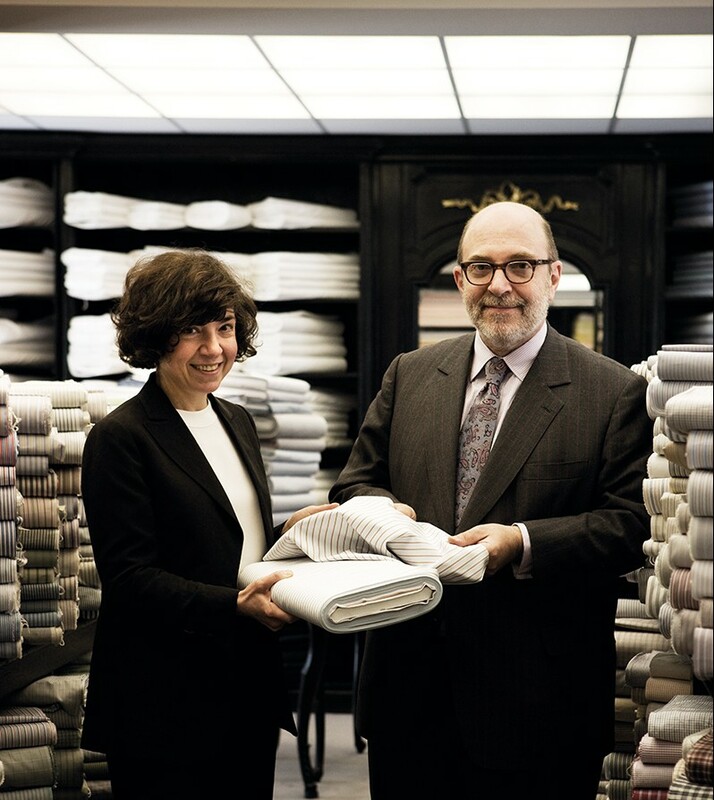 So, how did Jean-Claude Colban and his sister Anne-Marie Colban end up running Charvet? Here lies an interesting parallel with Patek Philippe, where the Stern family, its former dial supplier, became aware of the brand's financial woes and decided to rescue and preserve the most iconic name in Swiss high watchmaking. And so it was with the Colban family and Charvet as well. What was Jean-Claude Colban's major contribution? It was a system of distributing work that organised shirt-making into specific areas of expertise. He created a production line, while still retaining handmade artisanship that allowed Charvet to endure for the next half-century amid a rapidly modernising world. A single shirt passes through an organised structure where it will be worked on by three or four sets of hands. The next person always checks the work of the previous person, so all the work is double-checked. 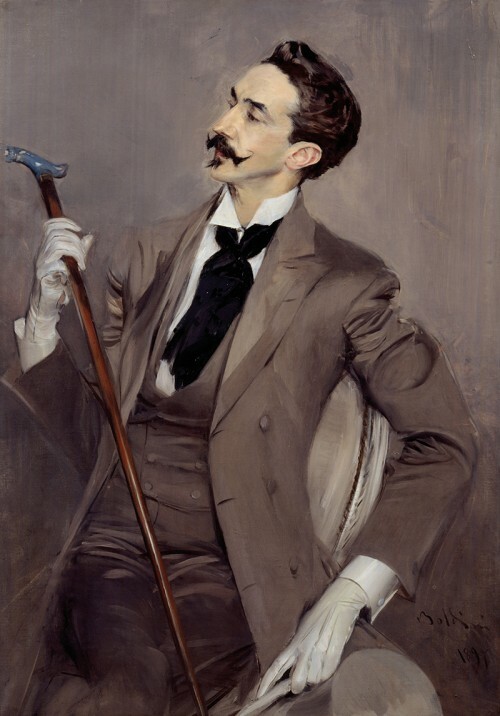 Boldini's 1897 portrait of French Symbolist poet, art collector and dandy Robert de Montesquiou, the subject gloriously attired in a Charvet shirt and tie. 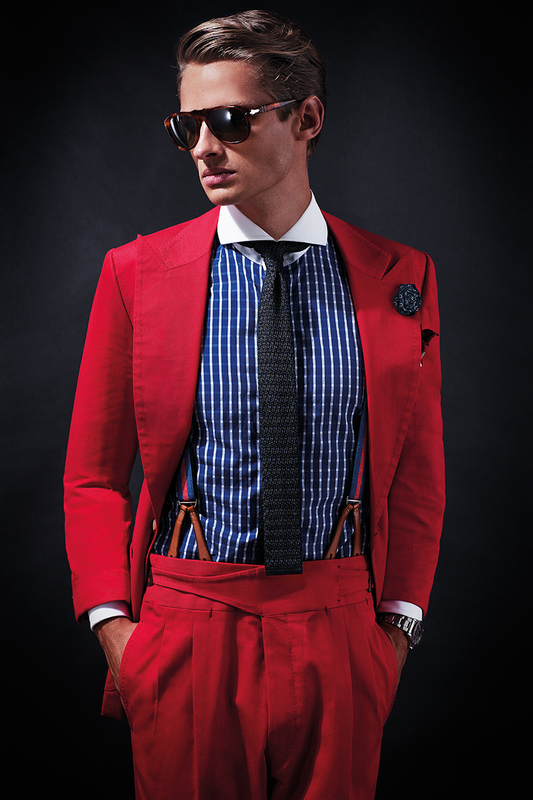 Said Anne-Marie Colban, 'You also have to look at the prevailing look in men's suiting. Today, men have returned to a very 'Savile Row' type of suit, which features a high armhole. As such, the armhole of your shirt must be correspondingly high as well, so that the shirt doesn't disturb the fit of the coat.' The Colbans also introduced a slimmer silhouette into their ready-to-wear line. 'When you weave tie silk, especially with a dense fabric, it comes out packed and rigid. To give it lustre, fluidity and spring, we have to process the fabric. This process is not often used because heat is involved, and heat means there is some melting which in lesser fabrics would compromise the handle of the material. But our fabric is well made enough to begin with that it can take this process. 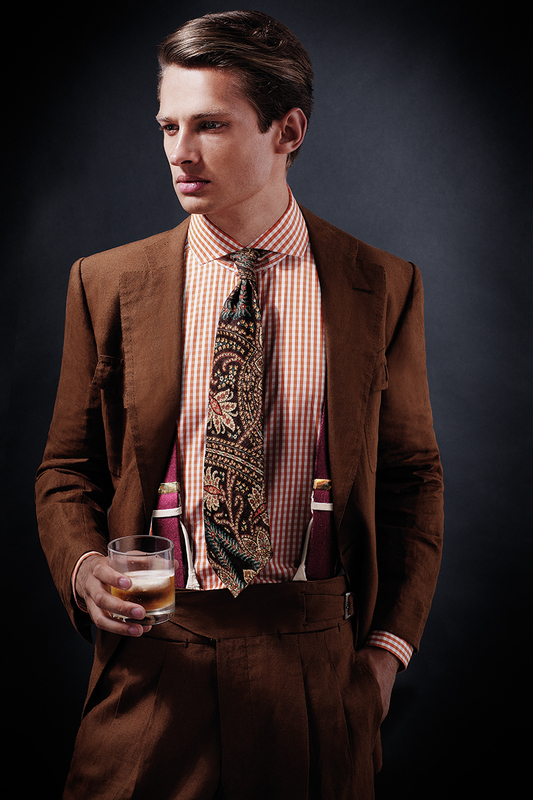 Fluidity, shine and spring-these are hallmarks of a good tie. We soften them using this heat treatment, then it is steamed and finally the materials go through steel rollers that flatten the tie and give it shine. Without spring, you cannot create a tie with a good knot. We had been making seven-fold ties from the start and as ready-to-wear ties until the late '60s. But an interlining can bring an improvement, which is the fact that when you tie a knot, you end up pulling a lot on the tie. Now, tie fabric is cut on the bias to give it a bit of spring. But when you pull on it too much in one place, you can cause it to stretch out and deform. Conversely, a tie with a thick interlining lies stiff and dead on your chest and because of the additional thickness, never makes for an elegant knot. A true seven-fold tie is a tie that has no interlining at all. A fake seven-fold tie-unfortunately, there are many around-is lined with the same type of silk used for the surface, but interlined with something rather thick. 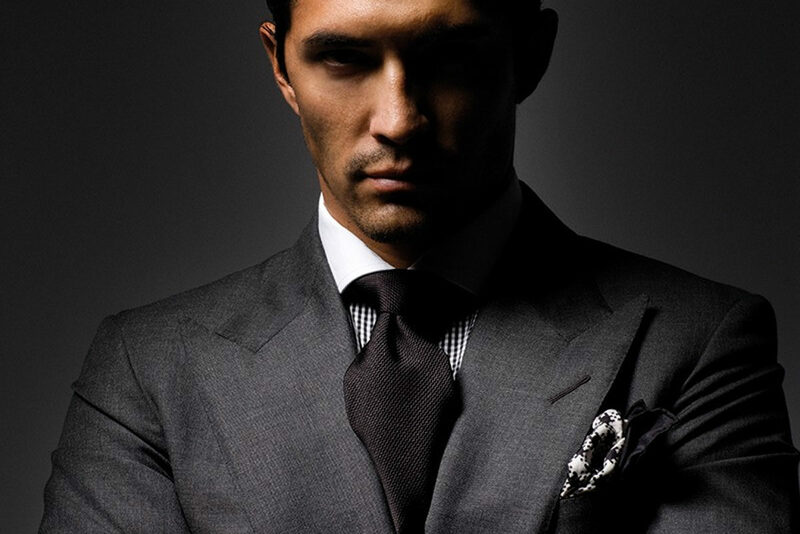 Often, when you hold what you think is a heavy silk tie, you are actually holding a heavily interlined tie. Embarking upon my first visit, it was with some trepidation that I crossed the street from my hotel to Charvet's magnificent eight- storey Place VendÃ´me headquarters. After all, I was on my way to the institution that has dressed some of the greatest men in history. Taking a deep breath and crossing the threshold, I was met with a prevailing sense of warmth from the genuinely sweet-natured staff - as inviting as the warm winter light streaming through the shopfront window and igniting the banquet of rich silks in fiery colour. After a leisurely discussion, my shirt specialist Alain whisked me upstairs to try on a ready-to-wear shirt. It was soon determined that due to my disproportionately large neck, we should go the made-to- measure route. Let me first say that Charvet, regardless of whether a shirt is ready- to-wear, made-to-measure or bespoke, makes shirts only one way - the best way. I soon learnt that ready-to-wear shirts are made on a single pattern, while made-to-measure shirts use a combination of existing patterns. For example, Charvet often combines a smaller body with a larger neck size to get a trimmer fit shirt, which was exactly what I wanted. In made-to-measure, you may select any collar style and any combination of fabrics for your shirt. In bespoke shirt-making, however, you are limited only by your imagination. In this process, an interim shirt will be made for you and fitted before the actual shirt is made. Charvet's tailors will actually cut the collar directly on your neck while you're wearing this interim shirt. From left to right: Navy and white graphic check cotton shirt with white collar and cuffs; white cotton & linen pique shirt; orange and white gingham check cotton shirt. Jean-Claude Colban, who by this time had very generously come down to meet me, explained, 'One difference is that with ready-to- wear shirts, we do not pre-shrink the material, but we do pre-shrink made-to-measure and bespoke shirting using a special process called décatissage, which features an abrupt change in temperature. As such, it is advisable to slightly oversize a ready-to-wear shirt by 0.5cm in the neck, and 0.5 to 0.8cm in sleeve length.' I was also asked what kind of watch I wore and if I wanted my left cuff larger in diameter to accommodate Royal Oak Offshores and Richard Milles. Then came a discourse on shirt collars: Spread collars and high collars are very fashionable, but not all collar styles are suited for all men. The first thing to look at is the height of the neck. If you look at a shirt on a table, a high-collared band will always look more beautiful than a low-collared band. But if your neck is short, this style can be very uncomfortable. The shape of the face is also important. For example, a man with a very round face should stay away from the spread collar, because it has a tendency to accentuate this roundness. If someone has a longer face, he may benefit from a collar that accentuates the horizontal line. I was glad to discover my lumpy potato- shaped face could accommodate a rich variety of collars. What kind of shirt did I end up ordering? As I imagine it would be with all new initiates, my first shirt was white - rather unimaginative but exquisitely made. So, I'd rather flash- forward one year and discuss my 11th Charvet shirt. Because it is only on completing your 10th Charvet shirt that your education, emotions and imagination are in full swing. Fuelled by a burgeoning sartorial maturity, you begin to discover the individual motifs that unite to create your signature shirt. My one year's worth of therapy with Charvet resulted in shirts with an extra trim body and higher armholes to complement similarly lean silhouetted suit coats. I veered away from Charvet's traditional style of a light, pliable collar and cuffs, choosing, instead, stiffer cuffs as I felt they sat more cleanly at the juncture of the wrist and hand, and were not disturbed by the gravitational deviancy of heavier cufflinks with a tendency to drag sleeves down. With regards to the collar, I wanted a more audaciously extreme, slightly arrogant-looking spread than existed in Charvet's already rich palette of choices. Said Anne-Marie Colban, 'But this is simple, we will make it one inch more spread on either side for you.' In terms of colour choices, I became obsessed with varying black and white graphic patterns; and on my 11th shirt, fell in love with large-motif black and white checks.